There's more than one way to attain football immortality, and BBC Sports journalist, Phil Cartwright turns a witty and revealing eye over the mavericks, pioneers anti-heros and iconic legends that have defined football history and changed the game forever. 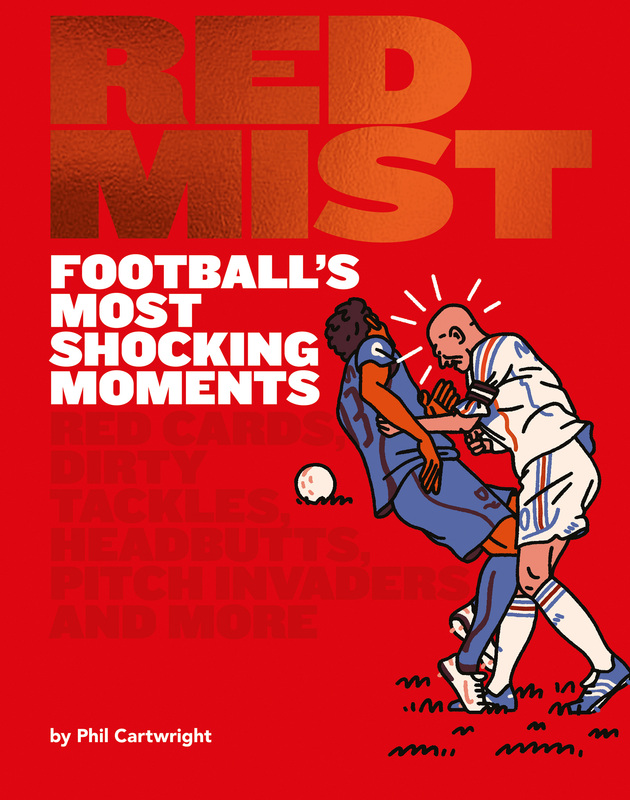 From Zinedine Zidane's infamous headbutt to Eric Cantona's king-fu kick, Red Mist In Football celebrates 30 iconic game-changing moments that broke the hearts of nations and spawned instant legacies. Featuring stories of red cards, dirty tackles, biting, pitch invaders and a couple of streakers, you will be taken on an unforgettable journey of the (not so) good, the bad and the downright despicable; celebrating the personalities and events of football history that we just can't stop talking about. Phil Cartwright's passion for sport began when he attended his first Wolverhampton Wanderers football match at the age of six. He has been a BBC Sport journalist since 2006 and has covered a wide range of sports and major events for the BBC, including the Championship football play-off final and the Rugby League World Cup.